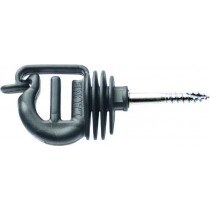 Insulator for wire or rope up to 8mm and tapes up to 20mm wide. Easy insertion so that conductors are not bent out of shape. HPX technology screw for easy screwing.